Rachel Bedet is an experimental Photographer currently studying landscape architecture at Harvard’s Graduate School of Design. 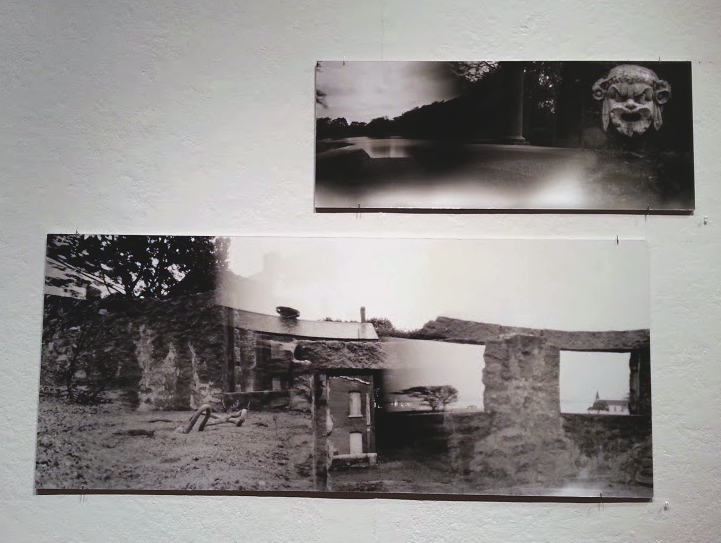 She creates her photographs using a custom built pinhole camera: she cuts 8×10 negative film in half and wraps the resulting 4×10 strip around the camera’s central column. The outside of the camera contains multiple apertures that she can open individually, allowing her to expose more than one image on the same sheet of film. The result is a panorama created from the blending of two or more scenes. Bedet embraces the unpredictability of her medium, but does not let the medium control the image; her images are carefully crafted and clearly display her knowledge of her craft. Bedet blends scenes from nature with architectural elements such that the transitions between water and walls and columns creates an environment that is something wholly new. Anne Pfaff exhibits charcoal drawings and intaglio prints. 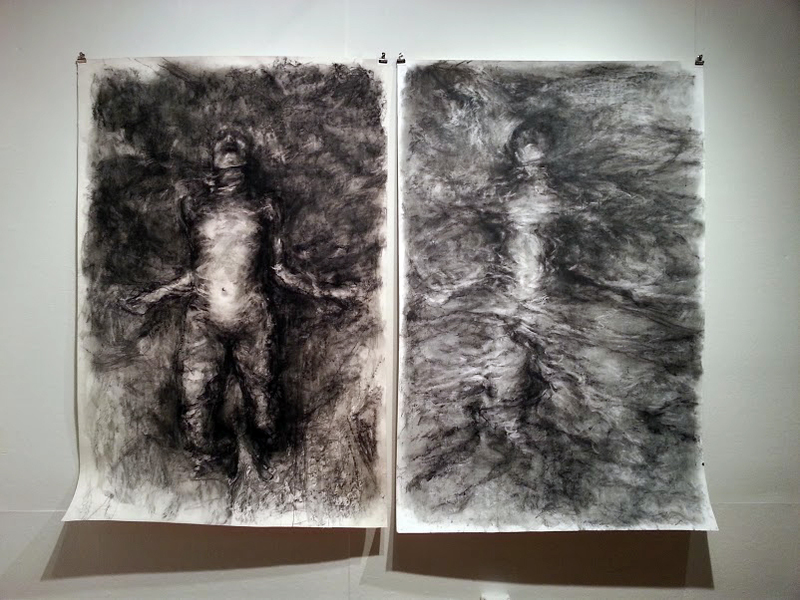 I found her large charcoal drawing diptych most striking. Pfaff’s drawing straddles the line between hyper-realistic and abstractly emotive. The figure’s pose is active, head thrown back, limbs tense, and on the right, water or fabric-like folds swaddle and partially obscure their body. Pfaff’s labyrinthine lines and watery strokes provide add a complexity to the work that offers the viewer much to explore. Susan DeLeo shows a number of experimental films. 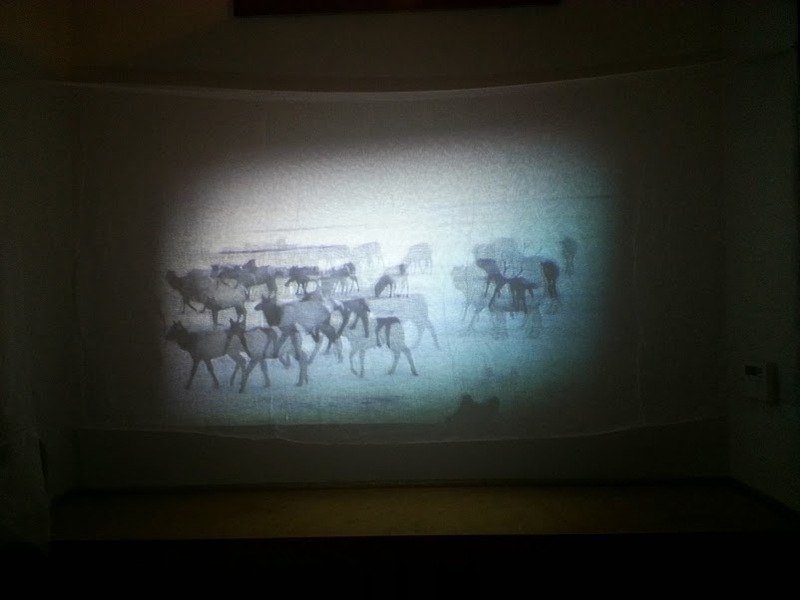 Pictured above is a projection onto cheesecloth. DeLeo’s films use multilayering, upside-down imagery, and degradation of the image quality to set her films outside of the normal narrative structure. All three artists use their work as a way to take apart the world and reassemble it into new shapes, asking the viewer to suspend their preconceptions about reality and explore these new environments and stories that exist outside of space and time. Learn more about Gallery 263 Here. Have a show you’d like to propose? Their Curatorial Proposal Series is currently accepting applications. See more of Rachel Bedet’s Work Here. See more of Anne Pfaff’s work Here. 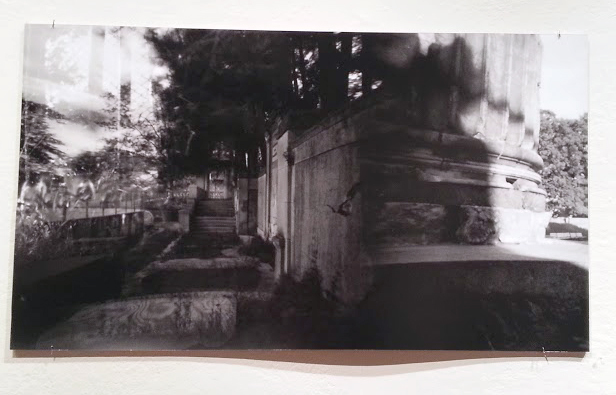 See more of Susan DeLeo’s work Here.